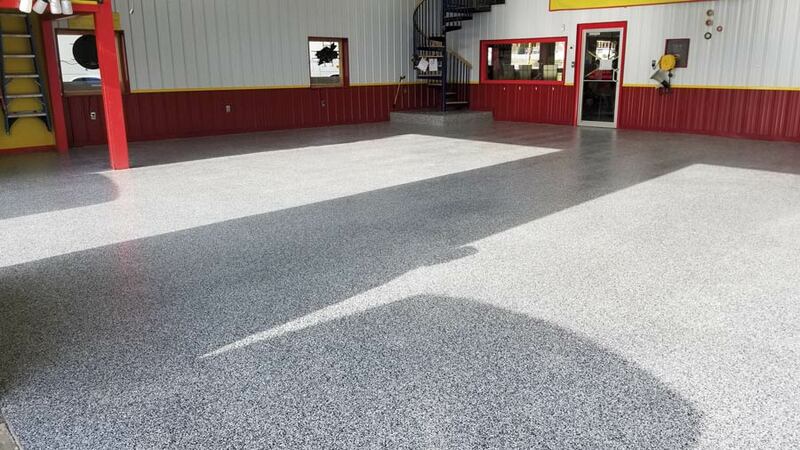 This new polyaspartic floor coating turned out great in this auto shop! 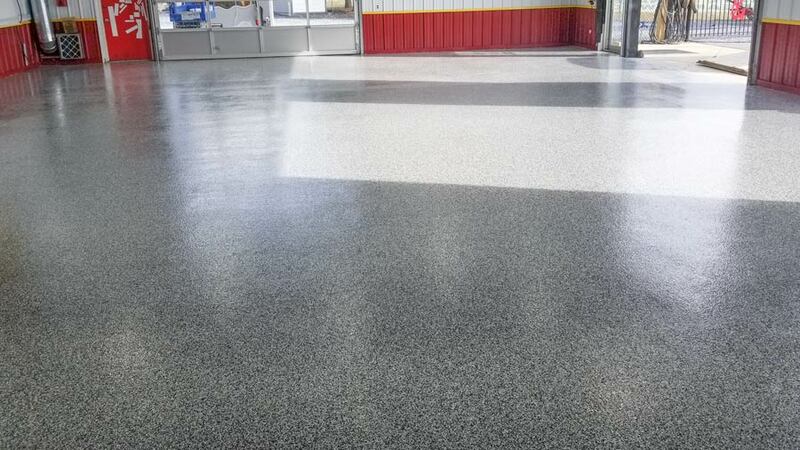 The floor coating is chemical resistant to most solvents and auto fluids - Perfect for an auto shop! High Solids Polyaspartic/Polyurea and Epoxy coatings are the best floor coatings. Here's a great example of a garage workshop floor, similar to an auto mechanic shop floor. The main shop floor was approximately 30'x40', representing over 1200 sq. ft. of floor space. Our team even coated the bathroom floor! Slide-Lok of the Eastern Shore completed this commercial floor install in Milford, Delaware. The commercial space is used as a vehicle wrap center to apply new colors and advertising to small cars, trailers and even semi trucks. The installers prepped the floor by filling and repairing all cracks using a polyurethane crack filler and then diamond grinding the concrete pad. Then 3 coats of polyaspartic, tuxedo vinyl chips, and non-slip gripping agent was applied. This job was completed in just 1 day thanks to our high performance polyaspartic coatings. note: click on the boxes below to see a dropdown. How soon can you drive or move items back on the floor after installation? 24 hours after the last coat. 7 days after the last coat. Our high solids aliphatic polyaspartic floor coating has excellent UV stability. The aliphatic structure of polyurea provides excellent chemical and UV resistance. Most epoxies are not resistant to yellowing and have poor UV stability. Do not be fooled by buzzwords another flooring company might use. Epoxy hardeners or amines are often cycloaliphatic, which are UV stable. However, the benzene rings in epoxy resins are aromatic and are not UV stable. The ultraviolet radiation from the sun causes photo-oxidation or degradation of the aromatic ring over time. How chemical resistant is the floor coating? Most epoxies have good chemical resistance to household and industrial chemicals and solvents. The WINNER: Polyaspartic / polyurea coatings. Epoxies aren't far behind. How long will the floor last? This is really going to come down to how much traffic your floor will see. An auto mechanic shop that sees 30 cars pull in and out over the course of a day will show much greater wear than a household garage that sees 2 cars pull in and out each day. 3-4x more abrasion resistant than epoxy. Known for having excellent hardness properties. When compared to polyaspartics they do not wear quite as well. The WINNER: Polyaspartic / Polyurea floor coatings. Will the floor be resistant to hot tire pickup? Polyaspartic/polyureas and epoxies are known as crosslinking technology in the coatings world. They offer excellent chemical resistance, impact durability, tensile strength, cohesive strength, and adhesion to concrete. The phenomena known as hot tire pickup is seen in a small number of floors and more often on floors with an acrylic sealer. This has to do with the heating and cooling of your tires over the substrate. When you drive your car your tires heat up and expand, and when you park your car the tires cool and shrink. When the tire shrinks over a coated substrate the tire is pulling on what is underneath and rips it off the concrete. Acrylic sealers are substantially weaker in tensile and cohesive strength compared to other crosslinking technology. Cohesive strength is important because it is the strength of bonding between the particles of the material itself. If the cohesive strength isn't strong enough the material rips away from itself under stresses such as seen when hot tires cool down. With proper floor preparation and application hot-tire pickup should not occur. As with most things in life you have to pay for performance. Polyaspartic representing the newest sports car, and epoxy the old reliable pickup truck. 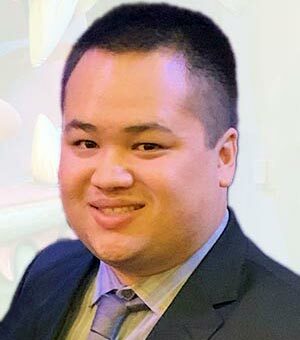 Polyaspartic is the newer technology, represents a smaller market share, and costs substantially more than epoxy. Epoxy has been used in flooring for well over 30 years now, the technology is a workhorse being very tough, dependable, and inexpensive. Materials alone cost about 2x as much as epoxy. Represents smaller market share in flooring compared to epoxy. Inexpensive compared to newer technology. Represents large market share due to its low price compared to its high performance. The WINNER: Epoxy costs less, but lacks the performance of polyaspartic. Obviously, the best garage floor coating is the one that best suits your needs. Epoxy and Polyaspartic are both considered to be great coatings, choosing one over the other depends on what you need in a floor and your time constraints. If you want our recommendation. We recommend calling or e-mailing us to discuss your flooring needs. We could recommend one over the other or even a combination of both. Many flooring installers will actually recommend epoxy for the primer and mid coat and then to top coat with polyaspartic. That way you get the cost savings of epoxy in 2/3 of the floor and reap the benefits of the increased chemical resistance, abrasion resistance and UV resistance in the top coat from polyaspartic. 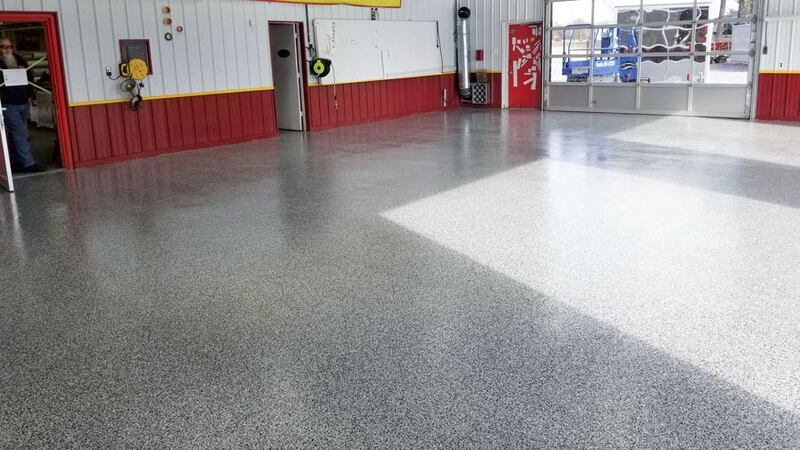 This floor will resist all of the common chemicals found when working on cars, resist hot tire pickup, make for a great looking and easy to clean floor. Regardless of the chemistry you choose, we always recommend flooring preparation be done properly using a diamond grinder or shot blasting machine to properly profile the concrete. Many of the flooring failures we've seen over the years appear due to improper flooring prep which results in poor adhesion of the coating. If you have any questions, Slide-Lok's team is knowledgable and has flooring experts standing by to assist you all across North America.